Pereskia grandifolia Haw. (Cactaceae) was investigated for its cytotoxic effect against five human carcinoma cell lines, namely nasopharyngeal epidermoid carcinoma cell line (KB), cervical carcinoma cell line (CasKi), colon carcinoma cell line (HCT 116), hormone-dependent breast carcinoma cell line (MCF7), lung carcinoma cell line (A549) and the non-cancer human fibroblast cell line (MRC-5) using in vitro cytotoxicity assay. The crude methanol and its fractionated extracts (hexane, ethyl acetate and water) have no cytotoxic effect against MRC-5 cells. The hexane fraction of Pereskia grandifolia possessed remarkable cytotoxic effect against KB cells with IC50 values of 5.0 μg mL-1 while ethyl acetate fraction showed high cytotoxic effect against KB and MCF7 cells with IC50 values of 16.0 and 20.0 μg mL-1, respectively. β-Sitosterol (1), vitamin E (2), phytone (3), 2,4-ditert-butylphenol (4) and a mixture consisting of 2,4-ditert-butylphenol (4), methyl palmitate (5), methyl oleate (6) and methyl stearate (7), isolated from the active ethyl acetate fraction were also evaluated for their cytotoxic activity. Compound (4) possessed very remarkable cytotoxic activity against KB cells with IC50 value (concentration of test compounds that cause 50% inhibition or cell death) of 0.81 μg mL-1. This is the first report of the cytotoxic activity of Pereskia grandifolia. A.M. Sri Nurestri, K.S. Sim and A.W. Norhanom, 2009. Phytochemical and Cytotoxic Investigations of Pereskia grandifolia Haw. (Cactaceae) Leaves. Journal of Biological Sciences, 9: 488-493. To date, mortality resulting from common forms of cancer is still unacceptably high. Researchers are increasingly turning their attention to folk medicine for new leads to develop better drugs against cancer (Galal et al., 1991; Hoffmann et al., 1993). Natural products have provided an endless supply of active compounds as source of medicine. Many pharmaceutical agents have been discovered by screening natural products from plants, animals, marine organisms and microorganisms. It is generally known ethnomedical data provides substantially increased chance of finding active plants relative to random approach (Tan et al., 2005). Thus, Pereskia grandifolia Haw. (Cactaceae), a medicinal plant used as a remedy in cancer-related diseases was evaluated for its properties. The leaves of Pereskia grandifolia are traditionally used in Malaysia for the treatment of cancer, high blood pressure, diabetes and diseases associated with rheumatism and inflammation. They are also used as remedy for the relief of gastric pain, ulcer and for revitalizing the body (Goh, 2000). Sahu et al. (1974) indicated that the Pereskia grandifolia was used for reduction of swellings as reported by Anon (1969). The locals generally consumed the leaves either raw or taken as concoction brewed from fresh leaves. Pereskia grandifolia is easily confused with Pereskia bleo. In contrast to Pereskia bleo, Pereskia grandifolia has pink to purple-pink flowers while Pereskia bleo has distinct orange-red flowers. To our knowledge, there are only two phytochemical study reported for Pereskia grandifolia (Doetsch et al., 1980; Sahu et al., 1974). There are no available latest reviews or published literature on Pereskia grandifolia since 1980. Doetsch et al. (1980) isolated three alkaloids, p-methoxy-β-hydroxy-β-phenethylamine, 3-methoxytyramine and tyramine from Pereskia grandifolia leaves whilst investigation by Sahu et al. (1974) yielded a saponin of oleonolic acid from dried powdered fruits. This study aims to investigate the cytotoxic activity of Pereskia grandifolia and identify the active ingredients that contribute to the cytotoxic activity. The findings of the current study may support the claims by local community regarding the use of the leaves for treatment of cancer. In the present study, crude methanol (MeOH) and fractionated extracts [hexane, ethyl acetate (EtOAc) and water (H2O)] of Pereskia grandifolia were used to perform preliminary cytotoxic tests against selected five human carcinoma cell lines, namely the human nasopharyngeal epidermoid carcinoma cell line (KB), human cervical carcinoma cell line (CasKi), human colon carcinoma cell line (HCT 116), hormone-dependent breast carcinoma cell line (MCF7), human lung carcinoma cell line (A549) and non-cancer human fibroblast cell line (MRC-5) using an in vitro neutral red cytotoxicity assay. In addition, we also report the identification of isolated compounds present in the active fraction and their cytotoxic activities against the above cell lines. To our knowledge, this is the first report on the cytotoxic effect of Pereskia grandifolia. Collection and identification of plant material: The fresh leaves of Pereskia grandifolia were collected from Petaling Jaya, Selangor, Malaysia in February 2007. They were identified by Professor Dr. Halijah Ibrahim of Institute of Biological Sciences, Faculty of Science, University of Malaya, Malaysia and a voucher specimen (SN01-07) was deposited at the herbarium of Institute of Biological Sciences, Faculty of Science, University of Malaya, Malaysia. Extraction and fractionation for preliminary cytotoxic tests: The leaves of Pereskia grandifolia (410.18 g) were washed, dried and ground to fine powder (37.05 g). The dried, ground leaves (37.05 g) were extracted with MeOH (3x1.5 L) at room temperature yielding a dark green crude MeOH extract (9.91 g, 26.75%). The MeOH extract (7.84 g) was further extracted with hexane to give a hexane-soluble fraction (1.29 g, 16.45%) and a hexane insoluble residue. The hexane-insoluble residue was further partitioned between EtOAc-H2O (1:1, 100: 100 mL) to give an EtOAc-soluble fraction (0.56 g, 7.14%). The H2O layer was freeze-dried to give a brown colored H2O fraction (3.86 g, 49.23%). The crude MeOH and fractionated extracts (hexane, EtOAc and H2O) were dissolved in dimethyl sulfoxide (DMSO) with the exception of the H2O fraction, to form stock solutions 20 mg mL-1 before testing. The final concentration of DMSO in test wells was not in excess of 1% (v/v). Cell lines and culture medium: Human nasopharyngeal epidermoid carcinoma cell line (KB), human cervical carcinoma cell line (CasKi), human colon carcinoma cell line (HCT 116), hormone-dependent breast carcinoma cell line (MCF7), human lung carcinoma cell line (A549) and non-cancer human fibroblast cell line (MRC-5) were purchased from the American Tissue Culture Collection (ATCC, USA). KB cells were maintained in Medium 199 (Sigma), CasKi, A549 and MCF7 cells in RPMI 1640 medium (Sigma), HCT 116 in McCOYS 5A Medium (Sigma) and MRC-5 cells in EMEM (Eagle Minimum Essential Medium) (Sigma), supplemented with 10% foetal bovine serum (FBS, PAA Lab., Austria), 100 μg mL-1 penicillin or streptomycin (PAA Lab, Austria) and 50 μg mL-1 of fungizone (PAA Lab, Austria). The cells were cultured in a 5% CO2 incubator (Shel Lab water-jacketed) kept at 37°C in a humidified atmosphere. In vitro neutral red cytotoxicity assay: Briefly, the cells (1x104 well-1) were seeded in 96-well microliter plates (Nunc) and allowed to grow for 24 h before treatment. After 24 h of incubation, the cells were treated with different concentrations of test compounds in three replicates tests. The plates were incubated for 72 h at 37°C in a 5% CO2 incubator. DMSO was used to dilute the test compounds and the final concentration of DMSO in test wells and control wells used was not in excess of 1% (v/v). No effect due to the DMSO was observed. Doxorubicin was used as the positive control. The well containing untreated cells is the negative control. Cytotoxicity was determined by the neutral red cytotoxicity assay as previously described by Sri Nurestri et al. (2008) and Borenfreund and Puerner (1984). Cytotoxicity of each sample is expressed as IC50 value. The IC50 value is the concentration of test compounds that cause 50% inhibition or cell death, averaged from the three experiments and was obtained by plotting the percentage inhibition versus concentration of test compounds. The extract that gave an IC50 value of 20 μg mL-1or less was considered active while the pure compound that gave an IC50 value of 4 μg mL-1or less was considered active (Geran et al., 1972; Swanson and Pezzuto, 1990). Extraction and isolation of pure compounds: Dried, ground leaves (1020.98 g) of Pereskia grandifolia were extracted with MeOH (3x1.5 L) at room temperature. The MeOH-containing extract obtained was initially treated with charcoal, then filtered over celite and the filtrate was evaporated under reduced pressure to give a crude MeOH extract (28.84 g). Treatment with charcoal was necessary to remove the high content of chlorophyll present in the extract. The presence of chlorophyll interfered with efforts at chromatographic separation. The crude MeOH extract was then further partitioned with EtOAc and H2O using a separating funnel. The solvent in the EtOAc-soluble layer was then concentrated in vacuo to give the EtOAc fraction (5.09 g). The EtOAc fraction (4 g) was subjected to Si-gel CC (200 g); initial elution with hexane followed by hexane enriched with increasing percentages of CH2Cl2, monitoring with TLC to give several main fractions: A (0.12 g), B (1.42 g), C (0.09 g), D (0.21 g), E (0.24 g) and F (1.04 g). Fr. B (1.42 g) obtained was subjected to Si-gel CC (70 g); elution with hexane followed by hexane enriched with increasing percentages of CH2Cl2 gave several sub fractions (Fr.C1-C5). Fr.C3 (102 mg) was further subjected to Si-gel CC (1 g) by successive elution with hexane followed by hexane enriched with increasing percentages of CHCl3 to give 1 (10 mg) and 2 (5 mg). Components in Fr.C5 (350 mg) were separated in the same manner as for Fr.C3 yielding 3 (4 mg). Repeated preparative-TLC of Fr. F (1.04 g) using CHCl3 as developing solvent, yielded compound 4 (5 mg) and a mixture (28 mg). GCMS analysis: GCMS analysis was performed using a Agilent Technologies 6980N gas chromatograph equipped with a 5979 Mass selective detector (70 eV direct inlet); a HP-5ms (5% phenyl methyl siloxane) capillary column (30.0 m x 250x0.25 μm) initially set at 60°C for 10 minutes, then programmed to 230°C at 3°C min-1and held for 1 min at 230°C using helium as the carrier gas at a flow rate of 1 mL min-1. The total ion chromatogram obtained was auto integrated by Chemstation and the components were identified by comparison with published mass spectral database (NIST 05 MS Library, USA). Thin Layer Chromatography (TLC): Thin layer chromatography (TLC) analysis were carried out using precoated TLC plates 60 F254 (20.25 mm thickness) purchased from Merck and were visualized in UV light (254 and/or 343 nm) and/or iodine vapour. Table 1 shows the results of preliminary cytotoxicity screening of the extracts in IC50 values, averaged from three experiments. The extract that gave an IC50 value of 20 μg mL-1or less was considered highly active. Thus, the MeOH extract having IC50 values of 34 μg mL-1 (KB cells), 50 μg mL-1(CasKi) and 53 μg mL-1 (HCT 116) can be classified as possessing mild cytotoxic activity. The MeOH was then further fractionated to hexane, EtOAc and H2O fractions. The crude MeOH and its fractionated extracts (hexane, EtOAc and H2O) were not active against CasKi, HCT 116 and A549 cells and exert no damage to the MRC-5 normal cells. The H2O fraction was found to have no effect on all the cell lines (IC50 >100 μg mL-1). The hexane fraction possessed remarkable cytotoxic effect against KB cells with IC50 value of 5.0 μg mL-1. The EtOAc fraction showed high cytotoxic effect against KB and MCF7 cells with IC50 values of 16.0 and 20.0 μg mL-1, respectively. It can thus be concluded that the hexane and EtOAc extracts were selectively toxic against KB and MCF7 cells. The active ingredients in hexane and EtOAc fractions may lead to valuable compounds that may have the ability to kill cancer cells but not toxic against MRC5 cells. Based on the above findings, further chemical investigation was thus directed to the EtOAc fraction of the crude MeOH extract. Fractionation into hexane and then EtOAc extraction was avoided as the yield of EtOAc extract obtained was very low (refer to section extraction and fractionation for preliminary cytotoxic tests). Compound 1 (β-sitosterol). White colored needles; EI-MS m/z (%): 414 [M]+ (100), 396 (57), 381 (45). These data were in fair agreement with earlier reported data by Sri Nurestri et al. (2008) and Nes et al. (1992). Compound 2 (vitamin E). Yellow viscous oil; EI-MS m/z (%): 430 [M]+ (34), 205 (8), 165 (100). Compound 2 was identified by GC-MS analysis and further confirmed by comparison of its mass spectral data with earlier reported by Sri Nurestri et al. (2008) and Pereira et al. (2002). Compound 3 (phytone). Yellow colored crystalline powder; EI-MS m/z (%): 268 [M]+ (1), 250 (5), 235 (2), 58(100). Compound 3 was identified by GC-MS analysis and the data was in fair agreement with earlier reported by Uechi et al. (2007). Compound 4 (2,4-ditert-butylphenol). Yellow colored crystalline powder; EI-MS m/z (%): 206 [M]+ (15), 191 (100). Compound 4 was identified through GC-MS analysis and further confirmed by comparison of its mass data with earlier reported data by Kamitori et al. (1984). The mixture was a yellow vicious oil consisting of 80.82% 2,4-ditert-butylphenol (4), 15.81% methyl palmitate (5), 1.74% methyl oleate (6) and 1.63% methyl stearate (7). Compound 5 (methyl palmitate) EI-MS m/z (%): 270 [M]+ (10), 239 (2), 227 (10), 213 (2), 199 (4), 185 (5), 171 (8), 157 (2), 143 (22), 129 (8), 115 (4), 107 (1), 97 (8), 87 (70), 74 (100), 65 (1), 55 (30). Compound 6 (methyl oleate) EI-MS m/z (%): 296 [M]+ (6), 264, 222, 55 (100). Compound 7 (methyl stearate) EI-MS m/z (%): 298 [M]+ (6), 255, 199, 185, 143, 129, 111, 97, 87 (70), 74 (100), 55. All compounds were identified by GC-MS analysis. Structures of compounds 1-7 are shown in Fig. 1. It is interesting, to note that β-sitosterol (1), vitamin E (2) and 2,4-ditert-butylphenol (4) were also isolated from Pereskia bleo as previously reported by Sri Nurestri et al. (2008). Phytone (3) is a phytol degradation biomarker in chlorophyll (Alves et al., 2001; Figueiredo et al., 2007) and was patented in United States in 1994 (Patent No. 5,318.783) as it showed biological activity against herbivorous insects, especially insect graminivores. The cytotoxicities of compounds 1-4 and mixture were also evaluated against five human carcinoma cell lines (KB, CasKi, HCT 116, MCF7 and A549) and non-carcinoma human fibroblast cell line (MRC-5). The IC50 values of these compounds are shown in Table 2. Although, the EtOAc fraction showed activity against KB and MCF7 cells only, the components present in this fraction exhibit cytotoxic effect against other cell lines, beside KB and MCF7 cells. β-Sitosterol (1) were not expected to have cytotoxic effect and the results obtained here were in agreement by Awad et al. (2000), Block et al. (2004), Chaturvedula et al. (2002), Jackson et al. (2000) and Moghadasian (2000). Vitamin E (2) showed strong cytotoxicity against CasKi (IC50 6 μg mL-1) and A549 (IC50 6 μg mL-1) while phytone (3) demonstrated pronounced activity against CasKi, HCT 116 and A549 cells (IC50 6, 5 and 7 μg mL-1, respectively). Nevertheless, 2, 4-di-tert-butylphenol (4) displayed very remarkable cytotoxic activity against KB cells with IC50 value of 0.81 μg mL-1 and strong cytotoxicity against MCF7 (IC50 5.75 μg mL-1), A549 (IC50 6 μg mL-1) and CasKi cells (IC50 4.5 μg mL-1). Surprisingly, the mixture of 2,4-ditert-butylphenol (4), methyl palmitate (5), methyl oleate (6) and methyl stearate (7) showed promising cytotoxic effects against CasKi (IC50 6 μg mL-1) and A549 (IC50 5 μg mL-1) and also displayed cytotoxic activity against normal MRC-5 cells with IC50 6.9 μg mL-1. 2, 4-Di-tert-butylphenol (4) is the major component (80.82%) in the mixture. The cytotoxicity of the mixture against the MRC-5 normal cells is not contributed by this compound as in its pure form, it only exert a mild effect on the MRC-5 normal cell line (IC50 20 μg mL-1). The cytotoxicity of this mixture may have been contributed by other components in the mixture. The data reported here thus suggest that methyl esters might exert cytotoxic effect against normal MRC5 cells but not on KB, MCF7 and HCT 116 cells. This finding on cytotoxicity of methyl esters is supported by Takeara et al. (2008) which reported that methyl palmitate exerted cytotoxic effect on T-cell leukemia cell line (Molt-4) with IC50 value of 2.28 μg mL-1 while methyl stearate was cytotoxic to acute promyeloblastic leukemia cell line (HL-60) and Molt-4 cell line with IC50 values of 3.08 and 4.65 μg mL-1, respectively. In conclusion, the cytotoxic activities observed for Pereskia grandifolia are ascribable to the active compounds 2, 3, 4 and the mixture. Although, the cytotoxic activity of these compounds and mixture are not as effective as doxorubicin, they however have low toxicity against normal MRC5 cell line in comparison to doxorubicin. To our knowledge, this is the first report for the cytotoxic constituents from Pereskia grandifolia. Further studies on the mechanism of cell death are needed to provide more convincing evidence. An investigation into this phenomenon is now underway. The findings of the current study support the claims by local community in Malaysia that the leaves of Pereskia grandifolia are useful for the treatment of cancer. Investigation on the bioactivity of medicinal plant and characterization of the active ingredients are important in view of the increasing popular consumption of herbal plants as alternative therapy. This research was supported by a research fund from the University of Malaya (PPP PS056/2007C). We are also grateful to Prof. A. Hamid A Hadi for use of his laboratory space. Abd Malek, S.N., N. Abdul Wahab, H. Yaacob, S.K. Shin, H.S. Lai, L.G. Serm and S.N.S.A. Rahman, 2008. Cytotoxic Activity of Pereskia bleo (Cactaceae) against selected human cell lines. Int. J. Cancer Res., 4: 20-27. Alves, C., C. Pio and A. Duarte, 2001. Composition of extractable organic matter of air particles from rural and urban Portuguese areas. Atmos. Environ., 35: 5485-5496. Anon, K., 1969. Wealth of India. Vol. VI, Council of Scientific and Industrial Research, India, ISBN: 81-85038-00-7, pp: 309. Awad, A.B., A.C. Downie and C.S. Fink, 2000. Inhibition of growth and stimulation of apoptosis by beta-sitosterol treatment of MDA-MB-231 human breast cancer cells in culture. Int. J. Mol. Med., 5: 541-546. Block, S., C. Baccelli, B. Tinant, L.C. Meervelt and R. Rozenberg et al., 2004. Diterpenes from the leaves of Croton zambesicus. Phytochemistry, 65: 1165-1171. Borenfreund, E. and J.A. Puerner, 1985. A simple quantitative procedure using monolayer cultures for cytotoxicity assays (HTD/NR-90) J. Tissue Culture Methods, 9: 7-9. Chaturvedula, V.S.P., J.K. Schilling,J.S. Miller, R. Andriantsiferana, V.E. Rasamison and D.G.I. Kingston, 2002. Two new triterpene esters from the twigs of Brachylaena ramiflora from the Madagascar rainforest. J. Nat. Prod., 65: 1222-1224. Doetsch, P.W., J.M. Cassady and J.L. McLaughlin, 1980. Cactus alkaloids: XL. Identification of mescaline and other β-phenethylamines in Pereskia, Pereskiopsis and Islaya by use of fluorescamine conjugates. J. Chromatogr. A, 189: 79-85. Figueiredo, R., A.I. Rodrigues and M.C. Costa, 2007. Volatile composition of red clover (Trifolium pratencse L.) forages in Portugal: The influence of ripening stage and ensilage. Food Chem., 104: 1445-1453. Galal, M., A.K. Bashir, A.M. Salih and S.E.I. Adam, 1991. Activity of water extracts of Albiziaanthelmintica and A. lebbek backs against experimental Hymenolepis diminuta infection in rats. J. Ethnopharmacol., 31: 333-337. Geran, R.I., N.H. Greenberg, M.M. McDonald, A.M. Schumacher and B.J. Abbott, 1972. Protocols for screening chemical agents and natural products against animal tumors and other biological systems. Cancer Chemother. Rep., 3: 1-102. Goh, K.L., 2000. Malaysian Herbaceous Plants Millennium. 1st Edn., Advanco Press, Malaysia. Hoffmann, J.J., N. Timmerman, R. Mclaughlin and H. Punnapayak, 1993. Potential antimicrobial activity of plants from the southwestern united states. Int. J. Pharmacol., 31: 101-115. Jackson, S.J., P.J. Houghton, S. Retsas and A. Photiou, 2000. In vitro cytotoxicity of norviburtinal and isopinnatal from Kigelia pinnata against cancer cell lines. Planta Medica, 66: 758-761. Kamitori, Y., M. Hojo, R. Masuda, T. Izumi and S. Tsukamoto, 1984. Silica gel as an effective catalyst for the alkylation of phenols and some heterocyclic aromatic compounds. J. Organ. Chem., 49: 4161-4165. Moghadasian, M.H., 2000. Pharmacological properties of plant sterols: In vivo and in vitro observations. Life Sci., 67: 605-615. Nes, W.D., R.A. Norton and M. Benson, 1992. Carbon-13 nmr studies on sitosterol biosynthesized from [13C]mevalonates. Phytochemistry, 31: 805-811. Pereira, A.S., D.S. Siqueira, V.O. Elias, B.R.T. Simoneit, J.A. Cabral and F.R.A. Neto, 2002. Three series of high molecular weight alkanoates found in Amazonian plants. Phytochemistry, 61: 711-719. Sahu, N.P., N. Banerji and R.N. Chakravarti, 1974. A new saponin of oleanolic acid from Pereskia grandifolia. Phytochemistry, 13: 529-530. Swanson, S.M. and J.M. Pezzuto, 1990. Bioscreening Technique for Cytotoxicity Potential and Ability to Inhibit Macromolecule Biosynthesis. In: Drug Bioscreening: Drug Evaluation Techniques in Pharmacology, Thompson, E.B. (Ed.). VCH Publishers, New York, pp: 273-297. Takeara, R., P.C. Jimenez, D.V. Wilke, M. Odorico de Moraes, C. Pessoa, N. Peporine Lopes, J.L.C. Lopes, T.M. Cruz Lotufo and L.V. Costa-Lotufo, 2008. Antileukemic effects of Didemnum psammatodes (Tunicata: Ascidiacea) constituents. Comp. Biochem. Physiol. 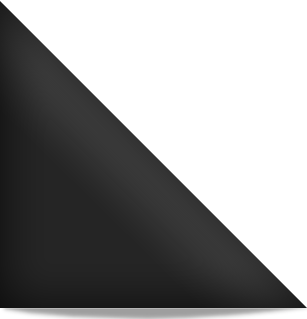 A, 151: 363-369. Tan, M.L., S.F. Sulaiman, N. Najimuddin, M.R. Samian and T.S. Tengku Muhammad, 2005. Methanolic extract of Pereskia bleo (Kunth) DC. (Cactaceae) induces apoptosis in breast carcinoma, T47-D cell line. J. Ethnopharmacol., 96: 287-294. Uechi, K., S. Matsuyama and T. Suzuki, 2007. Oviposition attractants for Plodia interpunctella (Hubner) (Lepidoptera: Pyralidae) in the volatiles of whole wheat flour. J. Stored Prod. Res., 43: 193-201.